Follow interesting people – read interesting things! I realized a few weeks ago that my twitter feed was populated mostly by people who I see on the regular: friends from school, my boyfriend, some of his friends, etc. I had somehow created a Google bubble around my tweets. Twitter is a great place to read about cool new things, but the cool things that interest me (ux/ui stuff, information architecture stuff, writing stuff) weren’t making it onto my feed. I didn’t know who to follow, and I didn’t know how to change that. I was lucky enough to snag a ticket for Brooklyn Beta last year, and I remembered that there was a page on their site that listed the twitter profiles of all of the attendees. A bit of googling and searching through my email archive revealed it. There were a few hundred attendees, so I searched for people mentioning UX, UI, and Information Architecture, and found a slew of interesting people, some of whom I followed. Mandy Brown in particular has transformed me into a bit of a fangirl… a very polite, uncreepy fangirl. She posts incredibly interesting links, seems to be doing fantastic work, and was an inspirational speaker when I saw her at Brooklyn Beta. I’ve not yet figured out how to express “I want to be her when I grow up” as an adult, but that is the feeling I have. Following smart, interesting people has resulted in me reading a ton of smart, interesting articles. I’m not sure why this surprised me, but it did. As I venture out of academia and into professional life, my twitter feed has grown in importance as a tool for keeping abreast of new tools, trends, and issues, and is a way to keep learning outside of school. Key criteria involves caring about when I eat / use the washroom / make tea. If a job requires set hours (e.g. you are a receptionist that needs to be at the reception desk, you’re answering calls in a call centre, or you’re the on-call person for when the servers blow up), it makes sense to give people a heads up (and to care about these things). Since I’m not looking for that kind of work, this just gives me the sense that this employer is likely rigid, and potentially micro-managey. Sometimes people need to go look at things that aren’t their computer screen; sometimes a brief walk can help think through a roadblock. If I’m worried that my performance will be evaluated based on how much time I spend typing, I’m not going to apply. Using tons of organizational jargon. If this job is open to external applicants, I’m not sure why you assume we’re already familiar with the myriad of intranets, products, and technologies you utilise, especially if they’re specific to your organisation. Similarly, acronym abuse. I’m not a big fan of acronyms: I find them confusing, cumbersome, and unintuitive, especially when the thing isn’t defined at its first mention. I recognize that they have a place, and I use them from time to time, but the abuse of acronyms drives me bananas. – Supporting the Chief Information Officer (CIO) and Technology Solutions Executive Team (TSET), the candidate will work with the OCIO, Enterprise Technology Solutions (ETS) and Line of Business Technology Solutions (TS) teams to accurately report operational metrics and trends across the Bank on a regular basis. Does TSET stand for “Technology Senior Executive Team” or “Technology Solutions Executive Team”? Do I need to care either way? Also: why can’t they just write it all out? This whole posting would be so much less confusing if people just wrote it out such that a person who doesn’t already work for (in this case) TD Canada Trust can understand without needing to draw a flowchart. Being stealthy about remuneration. I understand that negotiation is a key component in the salary discussion, but giving me a vague range can help me to know if I want to apply for a position. Some really interesting companies are looking for interns, and I’m happy to keep my options open. I’m not happy to work for free, though. It would avoid wasting everyone’s time if this was stated up front. This is far from an exhaustive list, but it’s the three things that have been consistently ruffling my feathers over the last week or two. I do plan to write a similar list of things I love to see in job postings over the next few days. Last night was the second Girl Geeks TO meetup of the year, and it was a big one! It was my second Girl Geeks Toronto meetup, and once again, the lovely organizers were incredibly friendly, and the event went off without a hitch. 100 or so geeky people trudged through bracing winds and icy snow to Google’s Toronto offices (for the record, their view is lovely) to learn about Chrome Developer Tools and Google Analytics, and to enjoy a glass of wine and a tasty cookie with geeky friends. Multi channel, which uses magic to figure out that a YouTube ad I saw last week made me get a mortgage this week. She also described the Real Time Tracker as fascinating and incredibly distracting. All in all, a lovely evening, met some cool people, and reconnected with old friends. Also: I’m tempted to get a Google Analytics account, so I guess they were successful there. I think I’ll stick with Firebug, though. I’m about to graduate — only three more weeks of classes and a frightful number of assignments stand between me and the ability to call myself a Master of Information. It’s very exciting, and also kind of daunting, and judging by the stress levels of my colleagues, I am not alone in regarding mid-April with a sense of mild dread. This week, the realization set in that my inaction on the job front was not something I ought to continue. While my part-time jobs will save me from insolvency should the job search stretch out a bit, I definitely needed to kick things into high gear and get going. Like many people, when faced with big tasks, I occasionally (if perhaps unconsciously) attempt to avoid them. Cleaning the kitchen, starting my big assignment, doing my taxes, whatever — if it is something for which I am accountable (mostly) only to me, then I can be very good at finding other things I need to do (More work for morning job! more work for afternoon job! The cat needs to be played with!). So, I’ve concocted a plan. I’m going to devote every morning from 7:30 – 8:30 (except Sunday, because I want to sleep in) to job search-related activities: blogging, working on my portfolio, actually applying for jobs, finding new networking events, reaching out to contacts, etc. Since applying for jobs can often be unrewarding — like when you apply for twenty jobs, hear back from none of them, and have to keep double-checking that your email was actually working, as one of my friends lamented the other day — I’ve decided to gamify it. I’ve also set up rewards to reaching my targets / milestones. 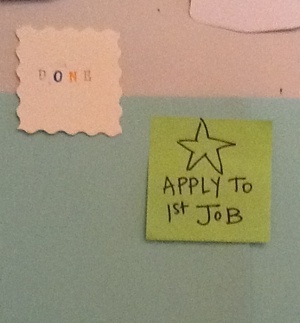 I have to say, putting up my hideous green post-it with “Apply to 1st Job” and a poorly drawn star on it was super motivating! Whether I hear back from that company (and I hope I do), the effort was acknowledged, and this combats the inherently demotivating aspects of sending out lots of resumes and not getting any replies. I’ve already been rewarded for my efforts; a response will be bonus. Since I share my office, there’s also a sense of accountability: I don’t want Paul thinking that I’ve not been doing anything… so I’d better do stuff. In the fifth grade, my teacher implemented a group system: each group was allocated points and gold stars and stuff, and the group with the most points at the end of the month got to have a pizza lunch in the classroom and watch a Disney movie (we had 1.5 hour lunch breaks because almost everyone went home for lunch). It was shockingly motivating, much like my weird post-it reward system is proving to be. I think as things move forward, I’ll add in something bigger, like “First interview! Treat yourself to a manicure” or “A week of meeting all your targets! Empty your amazon cart.” Maybe I’ll even have a pizza lunch and watch a Disney movie one of these days. Looking for work is a full time job. By making it manageable, breaking down my ‘to do’s and rewarding myself for doing them, I’ve found the whole process shockingly pleasant, and fought back against the lethargy that can threaten to overwhelm. We’ll see how I’m feeling in a week. 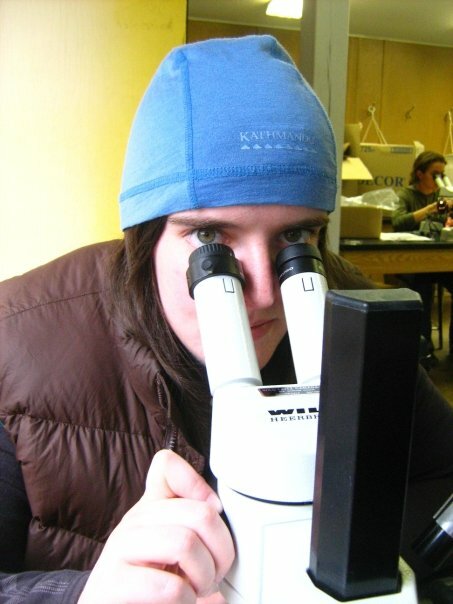 When I was doing my undergrad some years ago, I initially enrolled as a Chemistry major. As I’ve alluded to before, I realized early on that it wasn’t for me, but I soldiered on for a year and took some of the Chemistry major’s required classes that looked like they might be useful. One of those classes ended up being “Intro to Computing”, which should really have been called “Intro to Object-Oriented Programming” or “Intro to Java”. For a semester I slogged through lectures and assignments, spent hours trying to figure out why my stuff wouldn’t compile, and cursed my version of Eclipse (which tended to crash just before I hit command+S). In the end, the class went ‘okay’, but certainly didn’t help my GPA (it didn’t hurt as badly as the F I got in Ordinary Differential Equations in the same semester, but that is another story), and I didn’t really feel like it was something that I would/could use in general day-to-day life. Fast forward five or six years… a friend sent me a postcard at my parents’ house, and because writing post cards that your friends’ parents might read can be awkward, he wrote it in ROT-13, helpfully starting with “Dear Allison” and signing his name at the end. Decoding it by hand (since I hadn’t thought to google and find rot13.com) was kind of a pain, and I wanted to impress my friend, so I broke out my old java textbook and wrote myself a (very) simple decoder. All the punctuation was wonky (because I couldn’t really think of how to deal with it), but it did a reasonably good job, and I was super proud (as was my friend). Looking back at the code, I’m still mightily impressed at past Allison’s skills! I’d always been interested in programming, and enjoyed playing around with computer, but I’d never really understood how people learn these things, how one comes up with ideas to tinker with, and how to get started. Since the original ill-fated adventure with Java, I’d pretty much written off programming as something other people did. Once I had a reason to use it, and discovered how satisfying it was to solve a problem with something I’d made, my tune changed. Since then, I’ve learned Python by hacking in Starbucks next to Paul (while he learned it next to me), and since moving to Toronto last year, I’ve taken a bunch of Ladies Learning Code workshops and expanded my skill set. I’ve also discovered I really like programming. That said, I still find self-directed learning tricky: I try to think up ‘stuff’ to do that’s manageable at my skill level, and I get stuck. Programming Challenges always seemed too hard or obscure or mysterious for me (though now that I’m a relatively adept Python programmer the Python Challenge seems much more accessible). 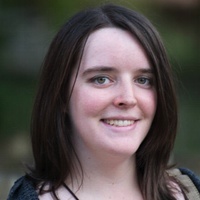 I’m super lucky to live with a programmer who also has a teaching background, who can suggest ‘stuff’ for me to tinker with, and ways to expand what I’m doing as I learn more. When we were learning Python together, he was writing code to do complicated load testing stuff, while I was making a text-based lemonade stand game; now that I’m trying to sink my teeth into PHP, he’s proposed a race-across-Canada game, with a variety of parameters for me to start with, and a bunch of ideas for ways I can add complexity as I get more comfortable. A lot of coders seem to be self-taught, and maybe they’re just more creative than I am, or maybe they decide to learn something because they need it, rather than learning because they want to know stuff… I don’t know, but I’m glad to have some direction in my self-directed learning, and I hope as I become more adept I’ll be able to help others with theirs. We’ve been back at school for a week, and what a week it’s been! In a two year Master’s program, people pass through pretty quickly, so we who were the wide-eyed confused First Years of 2011-2012 are now the wizened (and somewhat cynical) Second Years of 2012-2013. A year is not a long time, but over the past twelve months we’ve developed a new shared vocabulary, been sensitized to issues that we probably hadn’t thought about in much detail prior to coming into the program, and forged new friendships. The biggest difference that has struck me, though, is the critical streak that I find in myself which previously hadn’t been there. While I wouldn’t say that I’d been lazy or naïve in my thoughts about the internets or privacy or whatever prior to coming to the iSchool, I think that I chose to gloss over the downsides in order to focus on the positives: Google returns results based on your past browsing / search history — past Allison thought this seemed great, because the results that turned up were generally exactly what she was looking for and wanted to see; present Allison recognizes (and is mildly concerned) that there is a positive feedback mechanism at work here, which means that I’ll probably not see much that challenges me, disagrees with me or surprises me. Being exposed to new ideas is (almost) always a good thing, and when one gets the majority of one’s information from Google, there are limited opportunities to be challenged. My program is a professional program: the majority of us are obtaining our Master of Information degrees in order to go out and work as librarians, archivists, systems designers, knowledge managers, information architects, projects managers, etc. A lot of us — myself included — wish that there was more practical instruction, that we learned more of the stuff we’ll need to use in our future workplaces, and less of the theory behind that stuff. I’ve been a fairly vocal proponent for including more of the practical skills that employers want, and I stand by that position. That said, I’m increasingly recognizant of the value of the theory components, and that learning to think critically about information issues is essential for all of us, as future information professionals/academics, and more generally as citizens of the ‘Information Age.’ I believe that training us to think can — and needs to — go hand-in-hand with training us to do. I’m really pleased with my stream — as a systems design student, we develop more practical skills through our coursework than students in some of the other streams do. I complained a lot about the classes that were required when I began the program, the ‘Intro to …” classes, which are no longer required. I know I wouldn’t have taken some of them if they hadn’t been required, but as a wizened Second Year who is making connections between readings and concepts easily and with familiarity with the pertinent material, I’m glad I had to take them. I doubt I’d be as wizened without them. I’m hopeful that next year’s First Years will find themselves in a program with an optimal balance of foundational and domain-specific knowledge, of practical instruction and theoretical, and that they get as much out of the program as I have thus far. I also hope that eight months from now future Allison will be writing about the awesome job I landed with my combination of practical and theoretical skills. This struck me as a somewhat far-reaching request: my browsing history and my data for all websites is a lot of data for a tool that is basically supposed to help me copy-paste. “What are they going to do with this information?”, I asked myself, “Why do they need it? Why isn’t there a ‘we have access when you click on the elephant’ clause or something?”. 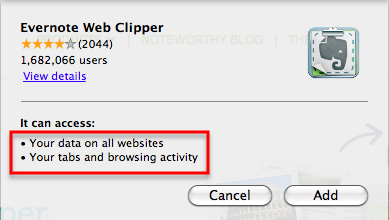 I’m not writing this because I think that the Evernote Web Clipper is dodgy… I’m pretty sure it isn’t. I don’t see, however, why an app that I use for saving adorable pictures of owls, newspaper articles that make me happy / angry, and ikea hacks should have access to my banking credentials. I’m sure that there’s a good reason why they request this access… I just don’t know what it is. What I would like to see is an easy way to have these extensions working only when you want them to be working. Yes, I could go into my preferences and enable and disable the extension as I need it, but that is a bit of an onerous solution to what I presume could be reasonably easily implemented. 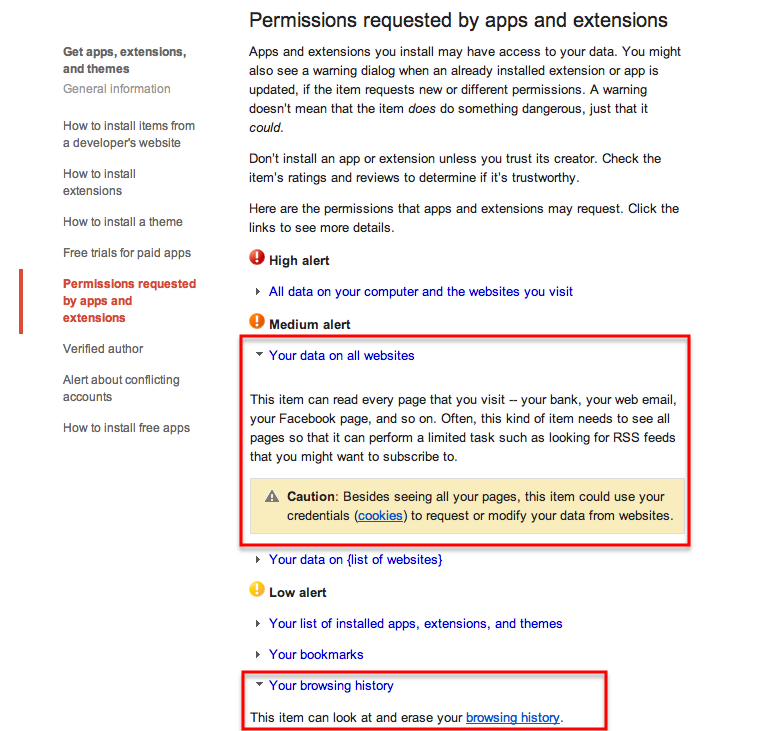 More than that, though, I wish that people who publish extensions explained why they’re requesting these permissions, what they actually do with the data they have access to, how they store it, etc. I may not mind sharing my data with you… but I do what to know why, and what you’re going to do with it. Last summer, my manfriend and I challenged each other to read the BBC’s Top 100 books list, The Big Read. The list is from 2003, but we’d seen the meme that was all over Facebook and decided to see who could get to one hundred first. I think we’re currently tied, but I’m reading Little Women in the hopes of sneakily overtaking him this summer. What I noticed looking over the list, though, was how many of the books I ‘knew’ – books whose plot lines and characters I could describe with reasonable precision and could speak about intelligently in conversation, despite never having read them. To my embarrassment, it wasn’t the bunch of English Lit classes during my undergrad, general mad knowledges, or familial propensity to pick up random facts that could be of use should one find oneself playing Trivial Pursuit that resulted in my comfort with the material, but the fact that I watched Wishbone as a young person. I’ve since realized that PBS cleaned a lot of the stories up for a young audience – Sherlock isn’t a drug addict in the Wishbone version, for instance, but the general gist of the storyline has remained deeply embedded in my psyche years later. In a similar vein, despite having spent a semester as a History and Geography major, and holding a B.Sc. that was roughly 25% Geography cases, most of my geographic and historical fun facts come from Where in the World and Where in Time is Carmen Sandiego. My familiarity with Yuri Gagarin is owed 100% to it being the last level of the Where in Time game I played – the only PC game I ever finished, I think… Any American History related to the Civil War? Wishbone. Marco Polo and the Silk Road? Carmen. Don’t even get me started on Miss Frizzle and the Magic School bus! As tools for teaching – and for disseminating both information and knowledge, these TV shows and video games were extremely effective. Recently, my friend Justin directed me to the games that the Wellcome Collection has put out to accompany their exhibits. My European History prof alluded to the Opium Wars, but as a tool for teaching a lesser-known historical event, High Tea is both fun, informative, and compelling. As a tool for teaching history, commerce, economics, and forecasting, it is excellent, and could be a great departure point for interesting conversations for groups of all ages. I think there’s something to be learned here: topics become more accessible when they are stimulating and interactive. Lots of cool people are studying gamification as ways to make people more environmentally friendly… or to make dull repetitive jobs less dull, but maybe there are other features we can take away to enhance communication at all levels, be it a boring government website, or a dynamic presentation in a classroom. Students seem to fall into two categories: people who want the letters after their name, and people who want to learn. That might seem like an unfair distinction, and everything I’ve been learning this year has cheap mlb jerseys with stressed that categorizing anything into two distinct groups is wrought of peril, but it seems to remain an applicable (if not necessarily accurate) differentiation, and one cheap nfl jerseys that I’d like to drill into a bit. When I was doing my B.Sc., wholesale nba jerseys I spent a miserable year in a major that did Microsoft not suit me in the least. I knew that it wasn’t the path for me from the third week, but I was committed, and my university would not allow me to change majors until the first year was over. Trying to excel at something you don’t care about is hard, and my grade in Ordinary Differential Equations clearly showed that. I was aiming for the bare minimum: to pass, preferably with cheap jerseys a Scanning C, rather than the pity-pass D. cheap nfl jerseys I missed the pity-pass, and I still have no idea what an ODE is, let alone how to deal with them. Moving into a program I cared about changed things: I put more signe time and energy into my studies, did Wood my readings, and went to see my professors when I had questions. I failed another class (one I cared very much about), through poor cheap jerseys planning rather than neglect, and rest assured, when I took it again, my study skills had improved, and my colour-coding obsessiveness had reached new heights. More importantly, rather than simply trying to learn the material, I tried cheap jerseys to understand it, and to this day it’s the class I remember most clearly and can discuss most enthusiastically. Rather than trying to pass, I tried watch to learn, and it was incredibly fulfilling. I am currently working with a partner on a major assignment designing a database as well as a web interface to interact with it. We’ve improved our Python programming skills (mine, at the very least, have improved dramatically; I suspect she started off with some more skillz), become reasonably adept at Sliders writing reasonably complex MySQL queries, and challenged ourselves to do more than the assignment called for. We were expected to deal with sessions: we chose to do so with cookies, rather than the suggested ‘send a random number as the token on each page’; we were expected to provide a way to log in (based on existing data in the DB): we chose to allow users to both sign up and then log in. Doing extra probably won’t affect our grade (though I am hopeful it might raise us from an A to A+) but it has been incredibly instructive. If we hadn’t decided to do Titel a bit ‘more’ than necessary, I’d still have no ideas how Cookies work, and I probably wouldn’t have learned as wholesale nfl jerseys much about HTML and CSS as I did. If I didn’t do (most of) my readings, I’d have a much smaller repertoire to draw on. If I wasn’t transit trying to get as much out of this program as I can, I’d feel like I’m wasting my time and my money. If I hadn’t failed Animal Diversity during my Undergrad, I wouldn’t have obsessively studied the evolutionary development of Animalia, and wouldn’t be able to draw a (roughly accurate) molecular phylogeny from memory. I’d have wasting the opportunity to really learn. I would be lying if I said I wasn’t a little bit excited that I’ll get to call myself a ‘Master of Information’ around this time next year. I would be lying if I said there was no part of me that likes the thought of having a bunch of letters after my name (or a ‘Dr’ in front of it) simply for the sake of having them (a larger part of me tends to say, “PhDs take ages, Allison… You do not do a cheap nba jerseys PhD for the Drhood”). It would, however, be horribly inaccurate to say that I’m currently spending two years of my life reading and writing and spending thousands of dollars and having no social life simply to be able to call myself Allison Moore, M.I.. At the end of the day, having the degree is not nearly as ???? useful as having the education, and I’m glad I’ve learned that.